A new generation of lightweight Lithium-Ion (Li-Ion ) batteries could radically transform the way armoured vehicles and dismounted infantry operate, providing more power for on-board communication, weapon systems and sensors and enabling vehicles to conduct longer missions. With modern armies having to power a range of increasingly sophisticated weapon, communication and surveillance platforms on board vehicles, traditional lead-acid batteries, which have been used since World War 1, are not up to the job. Li-ion batteries are already used in home electronics and electric cars, but they are also starting to find applications in armoured vehicles, where energy and power consumption have increased exponentially. 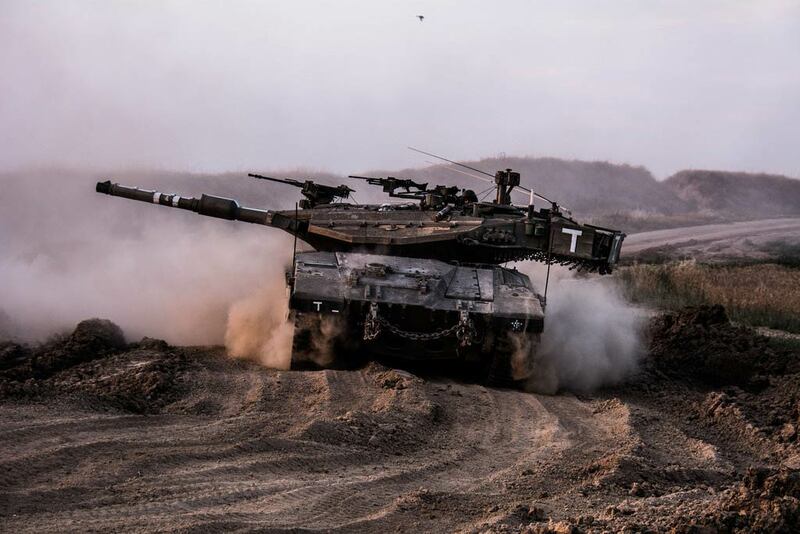 DefenseNews recently reported that Israel’s Tank Development Authority will trial rechargeable lithium-ion batteries as a “plug-and-play” replacement for lead-acid batteries traditionally used in Israeli Defence Forces’ Merkava tanks and other armoured vehicles. Epsilor, which develops battery packs and chargers for the military, defence, marine, aerospace, industrial and electric vehicle markets, was selected to lead the development of armoured vehicle lithium batteries for the Israeli Defence Forces by the Israeli Ministry of Defense Tank Development Authority. The company's new NATO Standard 6T Rechargeable Lithium Batteries, offer an advanced alternative to traditional lead-acid NATO batteries , says Epsilor, and can triple the “silent watch” capabilities of newly designed as well as existing armoured vehicles, while expanding the battery life cycle from hundreds of charging cycles to thousands of cycles, thereby eliminating the need to deploy battery inventories for armoured vehicles. The batteries are designed primarily for the next generation of armoured vehicles, but Epsilor says they can be used as “drop-in” replacements for traditional lead-acid batteries. The company will unveil the new 6T batteries at the Defence and Security Equipment International (DSEI) expo in London from September 12-15. Li-Ion can substantially extend the hours of silent watch a vehicle is able to conduct, from four hours to at least 12 hours, according to an article originally published in a UK magazine called Professional Security. Other vehicle programmes that are reportedly looking at Li-Ion batteries include Australia’s Land 400 programme, Italy’s Frecha and Centauro II vehicles and Israel’s 8x8 Eitan vehicle. The Indian Army is also reportedly looking at lithium batteries for future modern infantry combat vehicles. The Indian government wants to build facilities in the country for manufacturing Li-ion batteries to lower the cost of electric vehicles.